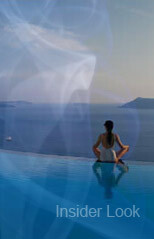 The Greek-Advisor.com is a team of highly experienced professionals, adept at serving the discerning traveler. We know each hotel we feature inside and out, and thanks to our team’s managerial experience in several of them; we know their staff, their philosophies and the way they serve each guest. Our mission is to identify and present to you, our exclusive guests, each characteristic of these unique hotels, allowing you to benefit from our expertise before answering the question – which is the best for you? Remember, unlike some companies, no hotels featured at Greek-Advisor.com have paid for inclusion in our portfolio. beautiful island in comfort ..